Eyes, fur (probably), and aggressive tendencies! 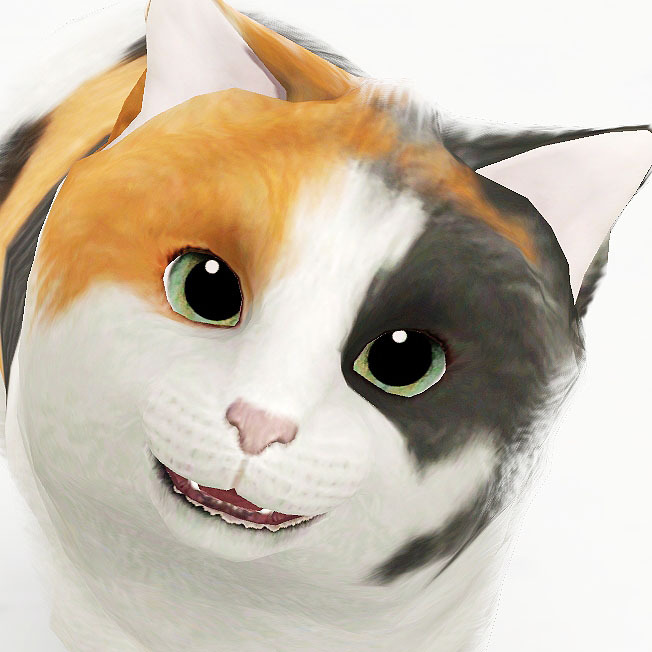 So I installed Pets for the first time and I was appalled at the eyes they gave cats, and the horrible black dots that are on the eyes, so I fixed the dots and made some default replacements! There are two variations of these eyes. 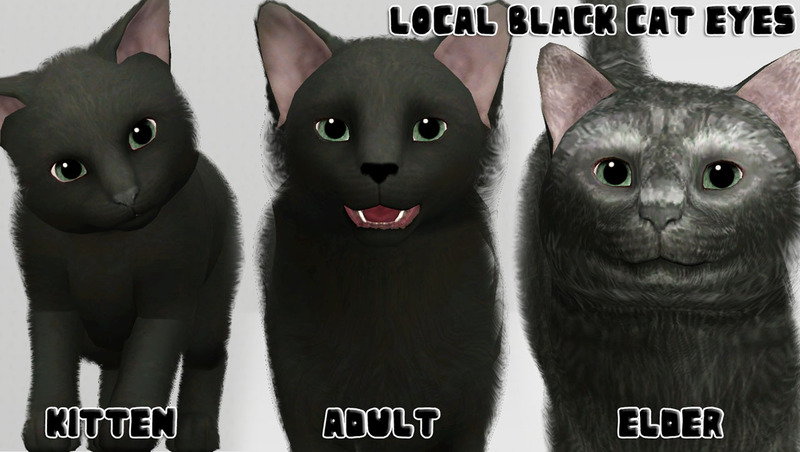 One is called Purrrrfect and the other is Local Black Cat. 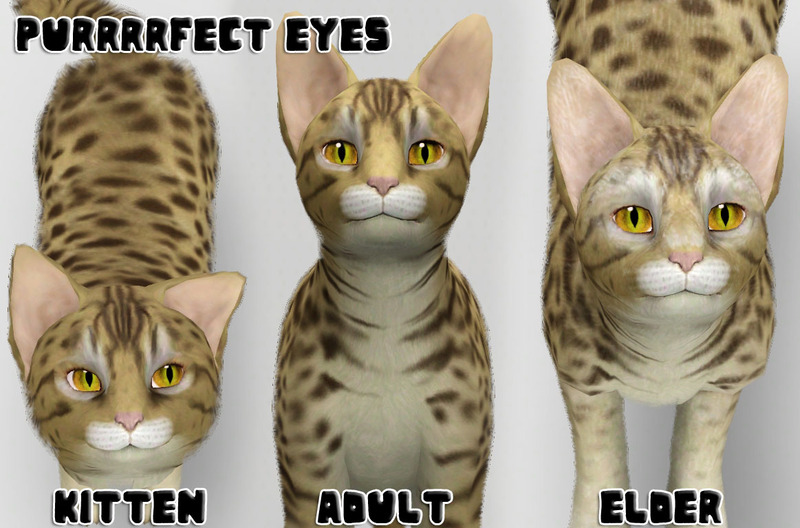 Purrrrfect has a constricted pupil, LBC has a dilated one for the cuter look that you can’t get with constricted pupils! 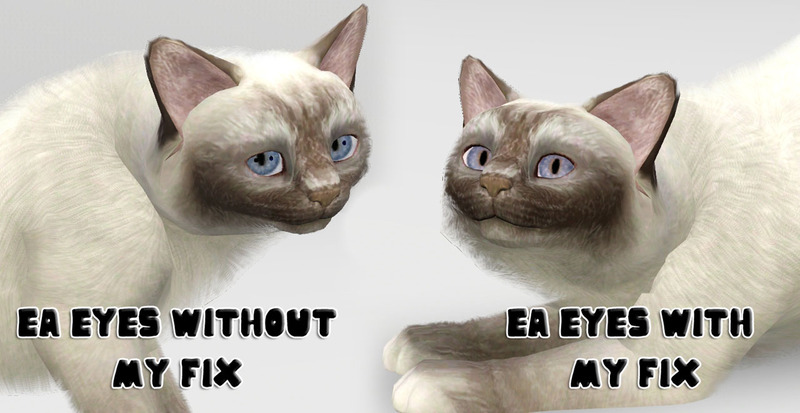 There is a third option, if you just want to fix your cat’s black dots, but want to keep the EA eyes, then you will want the Cat Eye Fix. YOU MAY ONLY HAVE ONE VARIATION IN YOUR GAME AT A TIME!!! Just place one of the three choices in your packages folder. I would suggest NOT merging these because there may be updates etc. All variations work with two tone eyes and the regular 4 channel eyes. They are for kitten-elder cats. Place any of these three files in your packages folder. 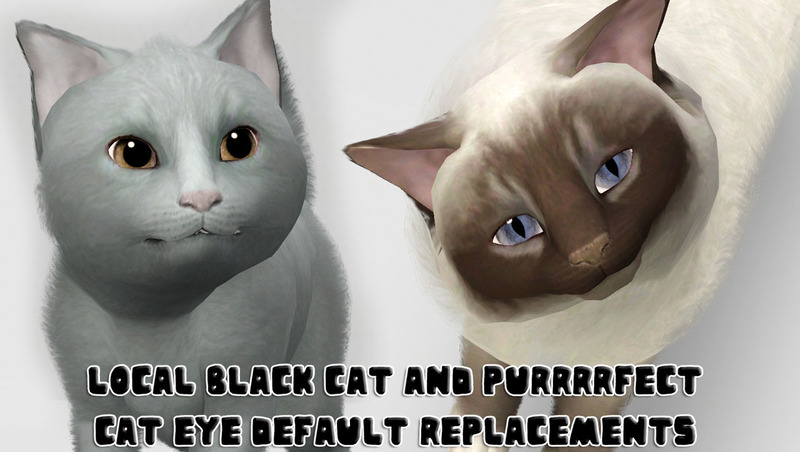 These will conflict with other mods that change cat eye meshes, cat eye textures, and cat overlays. 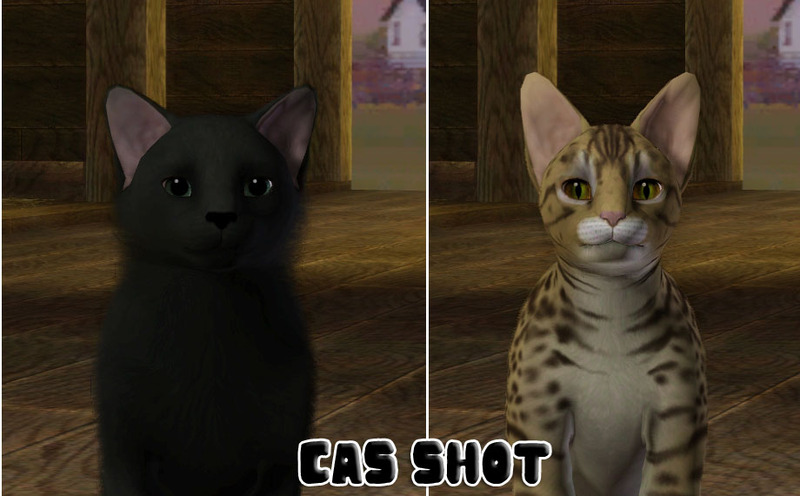 Remember to clear your sim compositor cache to see the changes! Enjoy!! If you use my eyes as a base, please just give me a quick little credit or link! Thank you! Christy's Eyes - Default Dog eyes.